Maximize Digestion with Max Savings on Food Enzymes. Save up to 25%! Boost your body’s ability to digest all types of foods. Food Enzymes features a blend of pepsin, betain, papain, pancreatin and other enzymes to help you successfully break down proteins, carbs and fats for relief of occasional indigestion. Save up to 25% all month long and help people everywhere feel better in the belly. 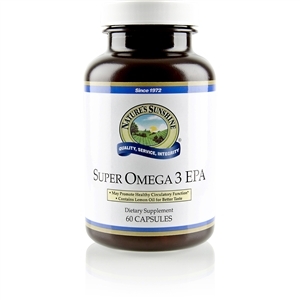 Product Premium: Get a FREE Bottle of Super Omega-3 EPA! Get your FREE bottle of Super Omega-3 EPA (60), this month’s product premium. Omega-3 essential fatty acids support heart health as they nourish the circulatory system. They also promote brain health. Provides 380 mg EPA and 190 mg DHA per softgel capsule. Your FREE product premium arrives automatically EVERY month with a $200+ Sunshine Rewards AutoShip order (no offer code needed). I-Inspire 2019 Is Taking You to Playa del Carmen and San Antonio! Once again, Nature’s Sunshine is traveling the world with I-Inspire, and this year you can earn your way to our convention in San Antonio, Texas and our all-inclusive resort getaway at the Hotel Xcaret in Playa del Carmen in the Yucatan Peninsula!